We tried this recipe at camp and the kids thought they were tasty and fun to make. 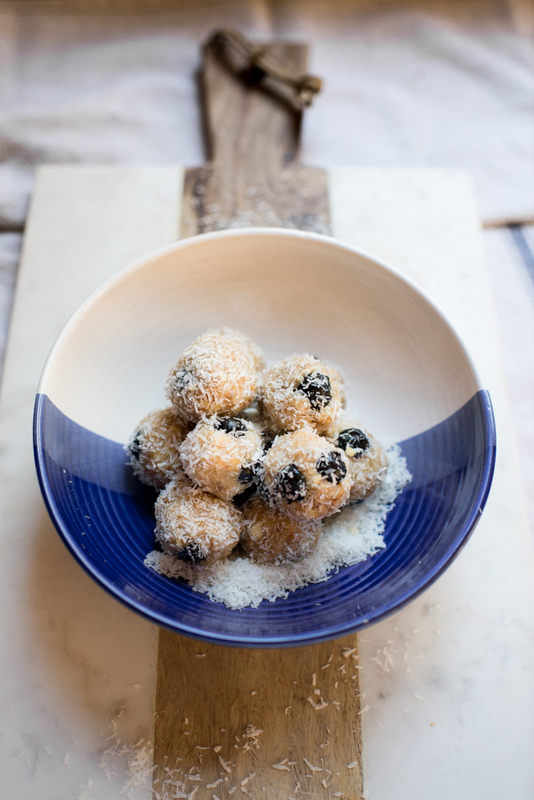 Much to their surprise the only sweetness comes from dates and the blueberries. This can be made with macadamia nuts or cashews, just adjust the coconut oil depending on which you use. 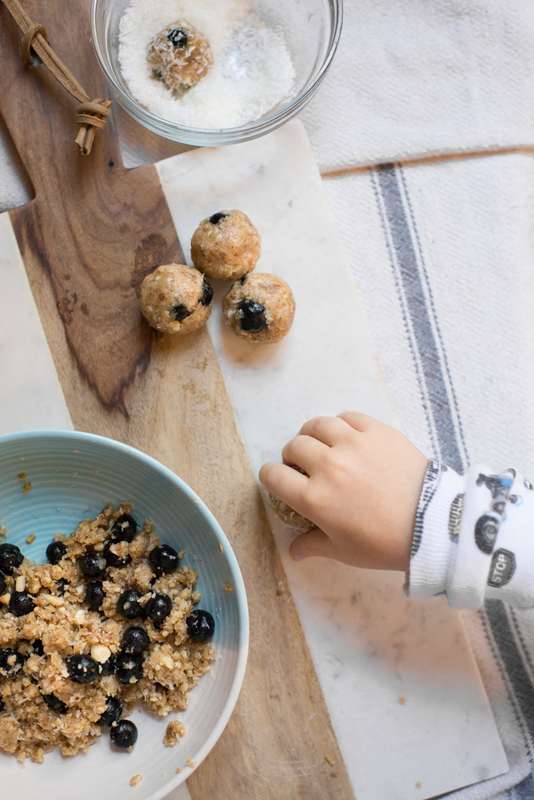 Our summer campers gave this recipe many “Super Yums” making it a wonderful family friendly treat! 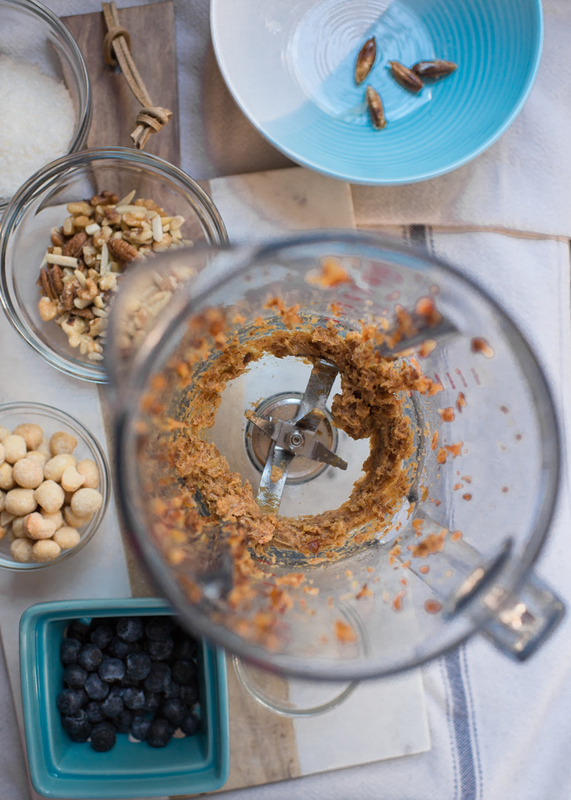 Blend dates in a food processor until pasty, about 45 seconds. Add walnuts and macadamia (or cashews) until finely chopped. While running, drizzle in coconut oil and stop once blended. 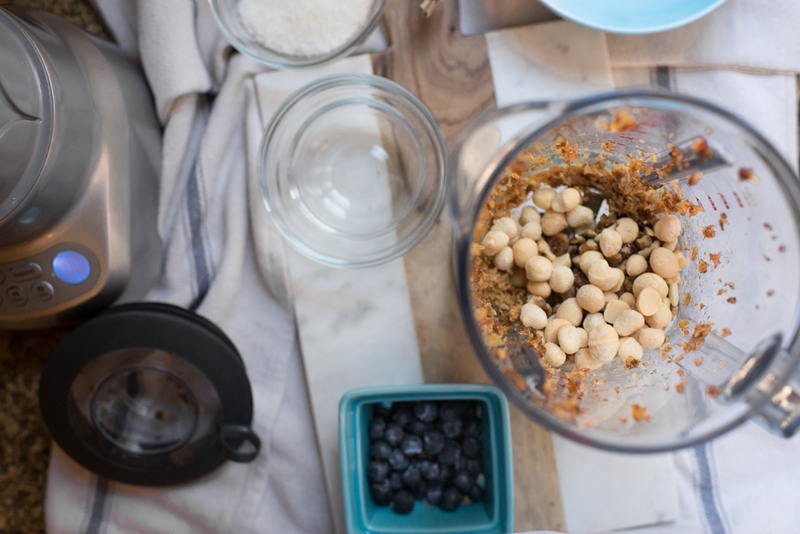 Put the batter in a bowl and stir in blueberries and 1/4 cup of the coconut flakes (reserving extra). 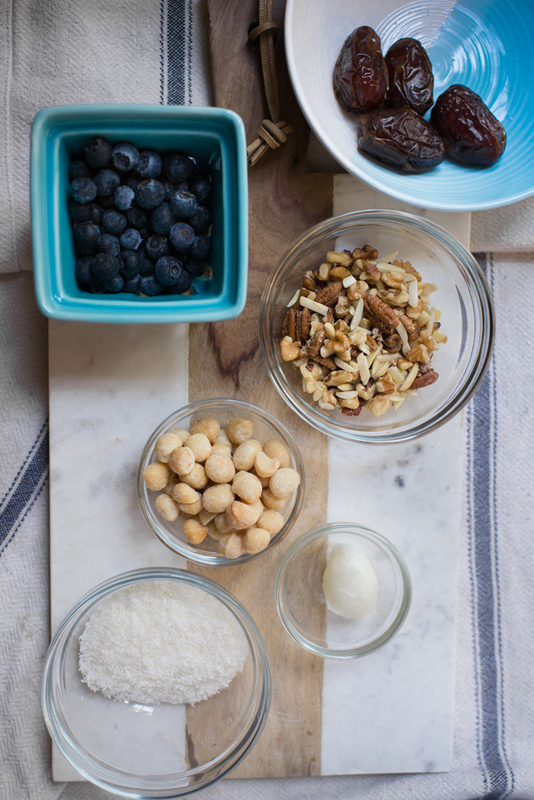 Form the dough into balls and roll in the leftover coconut flakes. Can be refrigerated for snacking later.